Some times the best buys are at the times when you have to hold your nose. Market volatility has increased this October with rising US rates and a crashing Global currency crisis. Gold should come back into favor as stocks continue into bear market territory. The Fed may start to scale back on interest rates if stocks continue to crater. This could turn real rates negative and push capital into precious metals and the junior miners which have already been in a 10 year bear market. The rotation from stocks and bonds into commodities hasn't even really gotten started yet. Nobody is looking at the juniors and there isn't much research coverage now as investors rely on blogs and social media forums to get good information these days. The excellent management and technical team thinks they are in the guts of the high grade system and there are lots of assays pending. I take these guys seriously as we made a lot of money with them on Fronteer's Long Canyon discovery which was acquired by Newmont for over $2 billion at the height of the last bull cycle in junior miners. 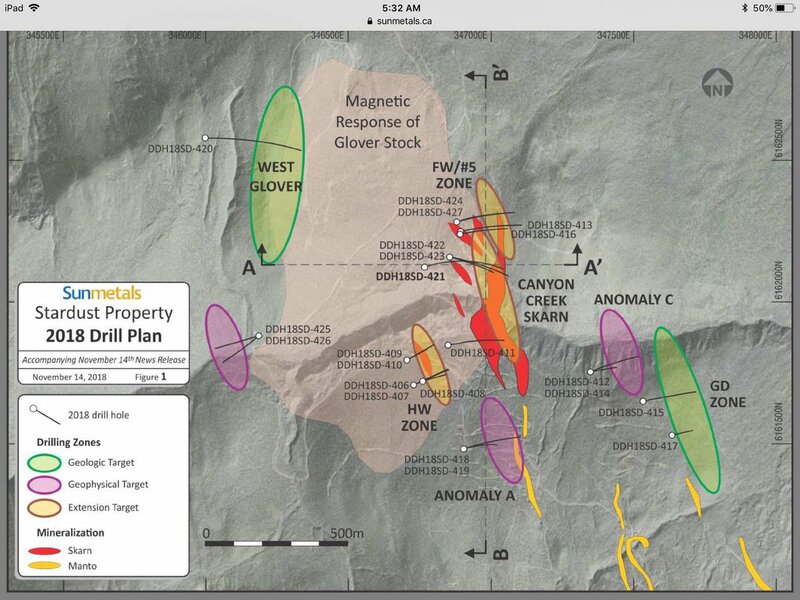 Sunmetals has optioned the property from Lorraine Copper $LLC.V $LRCPF. I own both but Lorraine may be another way to play this discovery. Remember there may be more than a dozen holes still not released yet. Could be a long way to run here? 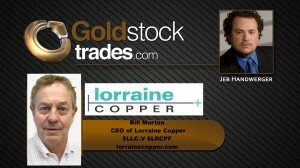 Listen to my interview with Bill Morton CEO of Lorraine Copper $LLC.V $LRCPF who made the deal with Sunmetals to make this great new discovery in BC. Bill was early on this property and this is some of the best results in Canada this year. Bill has held positions with companies such as Giant Mascot, Sumitomo and Imperial Metals. Disclosure: Author (Jeb Handwerger) owns shares in SUNM and LLC and I want to sell them for a profit. Lorraine is a sponsor. Sponsors are website advertisers so that means I have been compensated and have a conflict of interest to help boost awareness of this story. The content of this article is for information only. Readers fully understand and agree that nothing contained herein, written by Jeb Handwerger about any company, including but not limited to, commentary, opinions, views, assumptions, reported facts, calculations, etc. is to be considered implicit or explicit investment advice. Nothing contained herein is a recommendation or solicitation to buy or sell any security. Author is not responsible under any circumstances for investment actions taken by the reader. Author has never been, and is not currently, a registered or licensed financial advisor or broker/dealer, investment advisor, stockbroker, trader, money manager, compliance or legal officer, and does not perform market making activities. Author is not directly employed by any company, group, organization, party or person. The shares of these companies are highly speculative, not suitable for all investors. Readers understand and agree that investments in small cap stocks can result in a 100% loss of invested funds. It is assumed and agreed upon by readers that they will consult with their own licensed / registered financial advisors before making investment decisions. Readers understand and agree that they must conduct their own due diligence above and beyond reading this article. Author is not responsible for any perceived, or actual, errors including, but not limited to, commentary, opinions, views, assumptions, reported facts & financial calculations, or for the completeness of this article or future content. Author is not expected or required to subsequently follow or cover events & news, or write about any particular company or topic. Author is not an expert in any company, industry sector or investment topic.